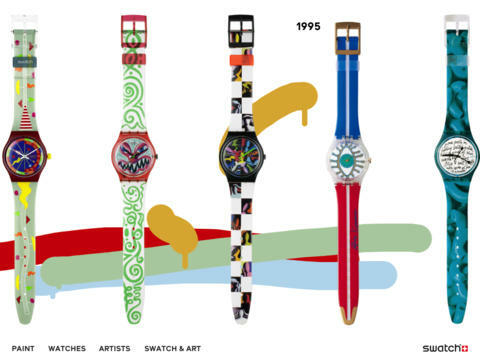 Since 1983 Swatch has made special editions of their watches with famous artist, creating some interesting, funky, classic, ugly, odd and fantastic watches. 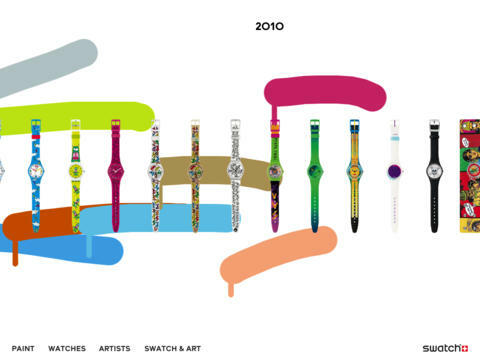 For an interactive trip back in history all the watches are displayed in the Swatch Art App where you create art as you browse the collections. We love it! The app was originally created for the International Art Exhibition – La Biennale di Venezia. The project was curated when Thank You asked Stine Hein and Felix Nielsen from Bacon de Czar and Pelle Martin from Spring/Summer to make this app. 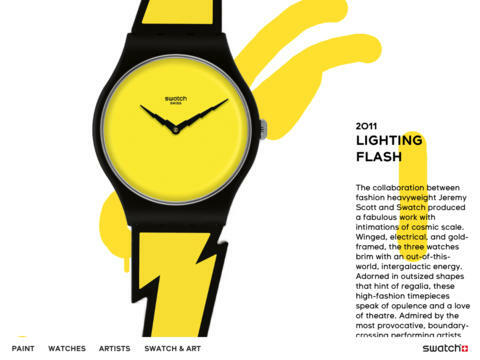 Thank You, who are masters of motion graphics, already did most of the identity work for Swatch, but needed help with the digital execution. 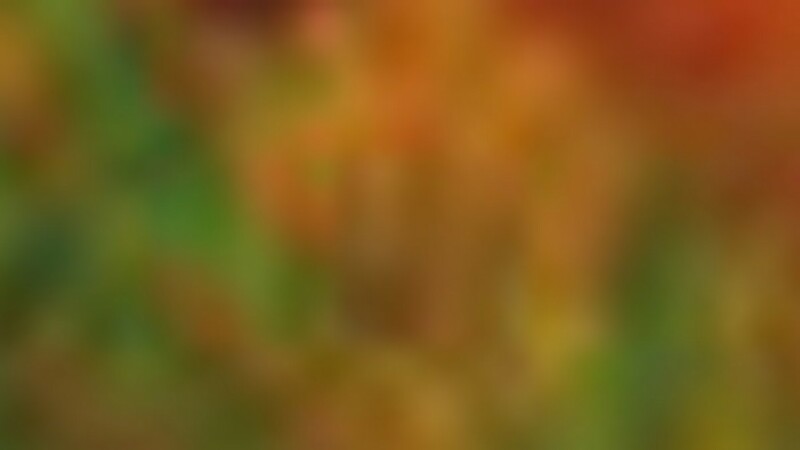 From the beginning the idea was to track the motion of your finger, but it wasn’t until late in the process that the idea of an actually painting came up. 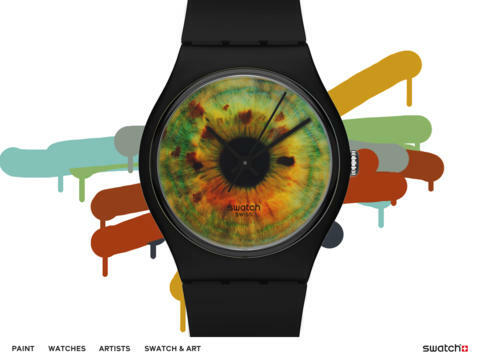 It’s very simple: you make art while watching it.